How do you cook a tender lobster? You follow the recipe perfectly only to find yucky black slime when you twist open your cooked lobster. What you are seeing is the roe, the lobster’s eggs that are not quite cooked. The problem is, if you cook the lobster enough to cook the roe through, it turns a more appetizing bright orange. The downside of that extra cooking is that often the prize tail meat becomes a little over cooked. So how do you cook a tender lobster every time? If you are a little squeamish about putting a wiggling creature into a pot of boiling water, the freezer puts them into a sleepy state. They won’t know they are taking the plunge. Over crowding the pot makes it difficult to bring the water back to a boil. You want to plunge them into the boiling water and have the boil recover quickly. 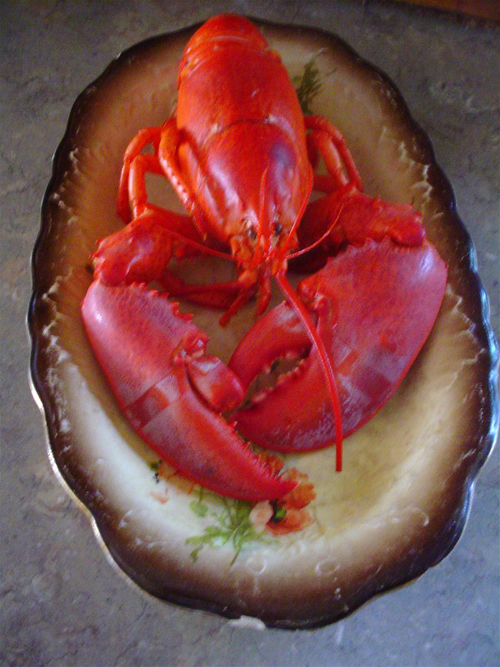 These few steps will solve your query: How do I cook a tender lobster every time? For more free cooking tips sign up for my free tips to make home cooks rock! Please post comments and let me know how this works for you.